The Southern Trust is hosting its annual Service of Remembrance and Thanksgiving for patients, clients and staff who have died. 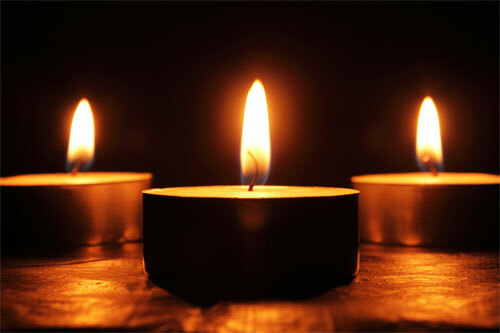 Everyone including friends, relatives or carers of our colleagues and patients who have died is welcome to attend the service on Tuesday 19 February, 2019 at 7.30pm in the Seagoe Parish Centre, 46 Seagoe Road, Portadown, BT63 5HW. Organised by the Chaplaincy Team, Human Resources and the Bereavement Coordinator, the event will give people the chance to reflect and remember their colleagues and loved ones. The service will include a time of reflection where the names of those we have gathered to remember will be read out. A floral tribute will be created and for this participants may wish to bring a flower. Sharon McCloskey, Bereavement Coordinator for the Southern Trust explained, “What gives us meaning in life is our relationship with others. “When a person dies the relationship changes but does not end. Remembering is an important aspect of grieving, and the annual service provides a gentle space where families and staff can come together to reflect on those who were so important in their lives,” she added. If you would like the name of a colleague or loved one read out during the service or for further information, please contact Sharon McCloskey, Bereavement Co-ordinator on Tel: 028 3756 0085.